Rent or buy Nothing Really Happens right now! WOW. If you watch, PLEASE write a review on amazon or imdb. It helps us infinitely! Let us know whatcha think! Positive reviews would help even more…just saying! Well. Nothing Really Happens won "BEST FEATURE" in London. Not much more to say than that it feels pretty good! We are currently finishing up with our experiment on the festival circuit as we await to hear back from several more festivals in the fall, while beginning to write and develop what may end up being our sophomore feature. Hopefully shooting in 2019. Hello everyone! 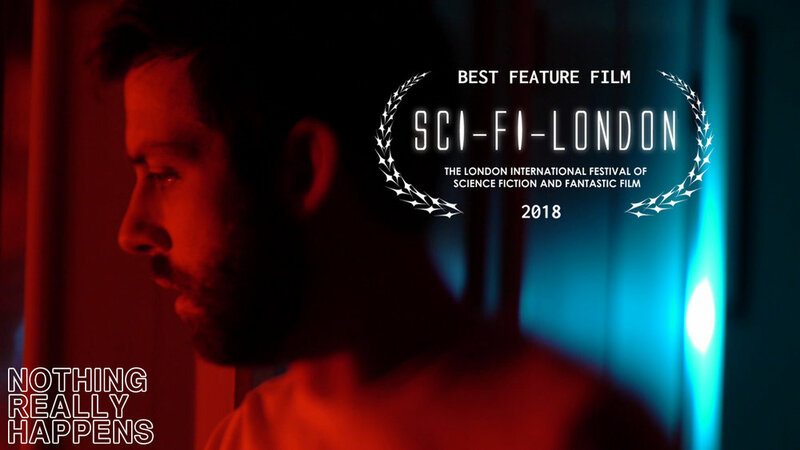 If you haven't heard Nothing Really Happens will get its world premiere at the fantasy and sci fi festival SCIFILONDON in early May! We are super excited to finally start letting this thing be seen by more people all over the planet. We are wrapping up a 5.1 mix this week and then we are shipping it across the pond. We'll keep you updated on when and where the film is actually playing as soon as we get word. A few years back, a friend of a friend reached out to me to see if I'd read a part for a script he'd written. I knew nothing about it and, figuring it would be a fun afternoon, agreed to fill in for a quick read. A day or so later, he told me I got the part. It was surreal, considering I didn't even know I was auditioning. I jumped on board. It sounded like a good way to learn more about the craft I had just begun to dive into and an excuse to hang out with some pretty cool people. We thought it would take a few weekends. It took over two years. I have been incredibly humbled by the process and have learned just how much emotional energy it takes to create something when you have no one to report to but yourselves. The feeling I would get when I was on set with Justin and Joey started as alien and grew into something very familiar. I find that I crave it now. We made this weird little thing because it was something we wanted to make. Something we wanted to see exist in the world. Last week, we learned that there are other people out there who have similar tastes. 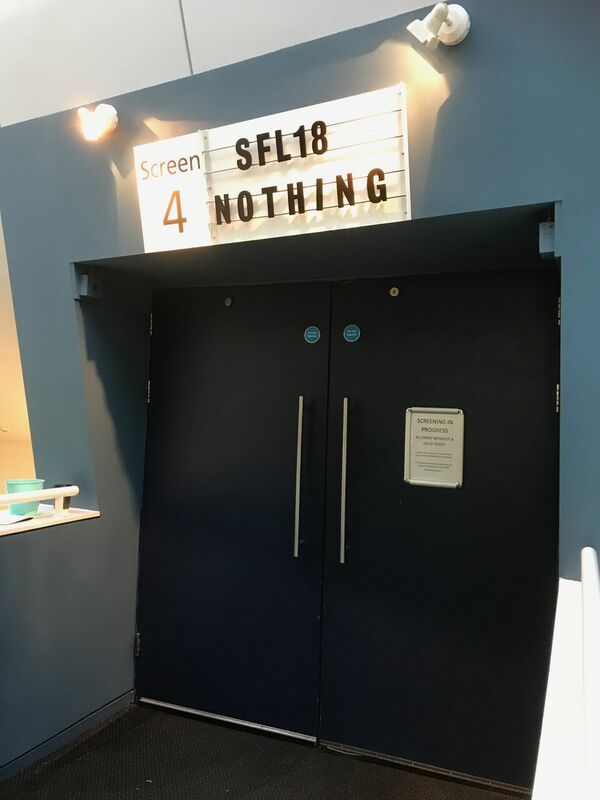 Nothing Really Happens, directed by Justin Petty, starring myself and Joseph Graham, will have its world premiere at SCI-FI LONDON Film Festival. Thank you to everyone who believed in us. To everyone who stuck with us on the long nights and weekends. To our jobs who dealt with us coming in each day on mere hours of sleep. To our city for lending its beauty to our weird thing. To our friends and our families for not abandoning us. To everyone who donated to our fundraiser and made this possible. We did it. I barely even know what "it" is, but we did it. And we're going to keep doing it.